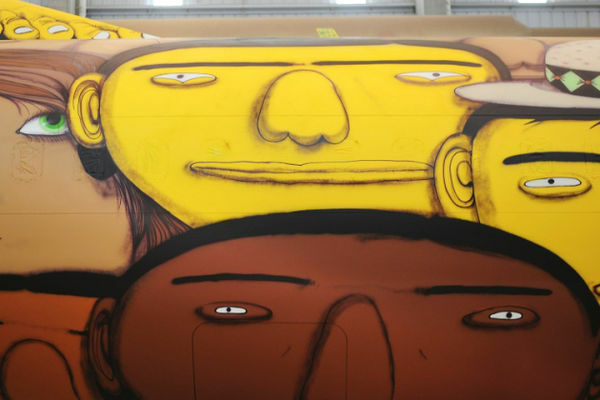 We need transportation for the players of the 2014 World Cup football, don’t we? How about a mean that will definitely stand out of the crowd and make us the coolest football team out there? 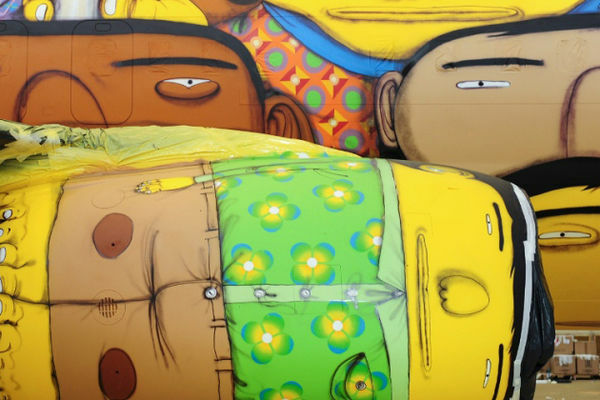 Well, as if the Brazilian team needed to become even cooler, they actually did. 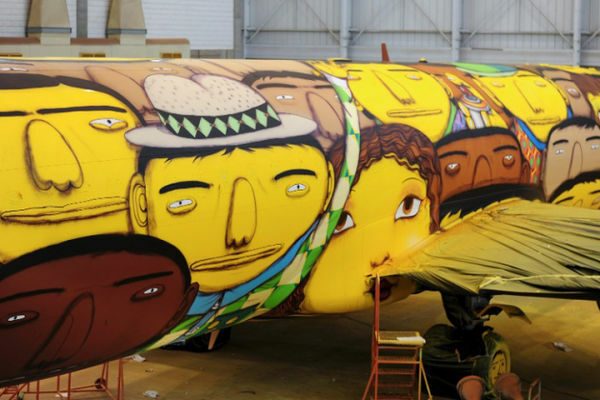 Their team’s airplane for the World Cup follows the street art theme that Brazil authorities have been using to get the word out there. 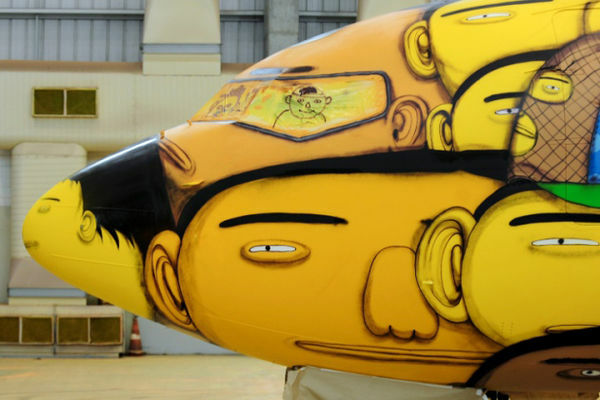 They asked street artists Os Gêmeos to come up with some ideas and give their plane a face lift. 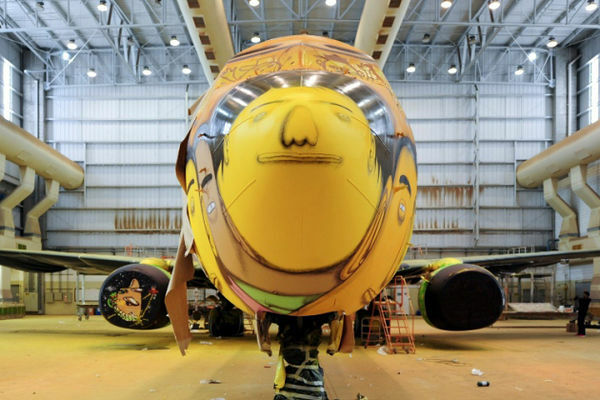 The result, an unmissable aircraft which took over 1,200 cans of spray paint to be done.